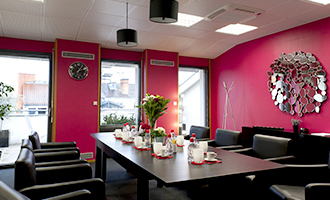 This well-equipped room can seat up to 12 participants. Can seat up to a maximum of 10 people. Can seat up to a maximum of 6 people. We have two superb rooms that are air-conditioned and equipped with everything you need to conduct your consumer meetings successfully. 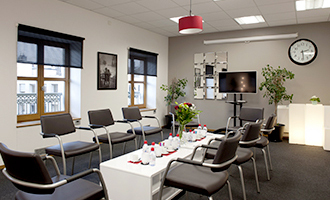 Both rooms can seat up to 12 participants. Each room is fitted with a one-way mirror and a Client Viewing Room that can seat up to 5-6 people in the Bellecour Room, and 10 people in the Hôtel Dieu Room.